Erected in 1811, the Mount Washington Cotton Mill was built to serve the growing demand for domestic textile manufacturing after President Thomas Jefferson's 1807 embargo on British goods and the war against Napoleon in Europe stifled international trade. In the 1700s, the British government closely guarded the industrial technology for manufacturing cotton. In 1790, British industrialist Samuel Slater replicated the secret designs and struck a deal with Moses Brown in Pawtucket, Rhode Island to create the first cotton mill in the United States. Mount Washington Mill was the third cotton mill in the United States and the first in Maryland. The number of spindles grew from about 300 to 1000 in just the first five months. 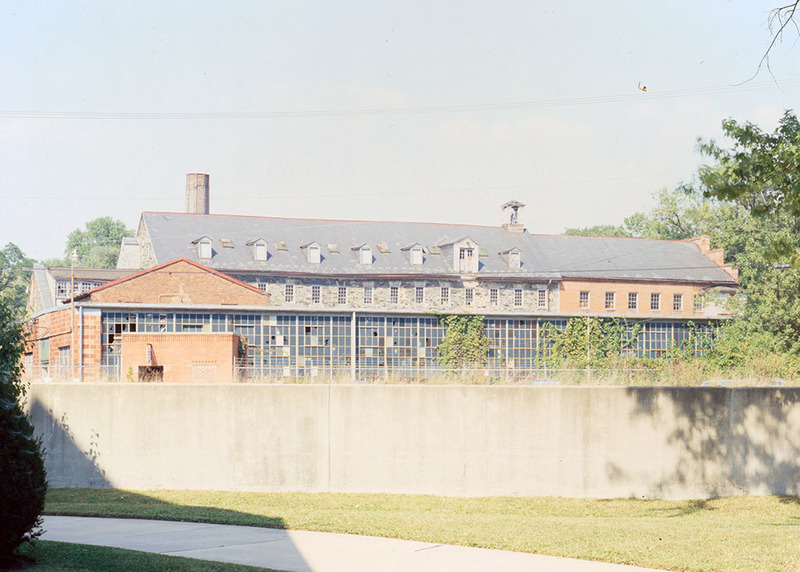 The mill stayed in operation until 1923 when it was sold to the Maryland Bolt and Nut Company. In 1988, Himmelrich Associates began developing the mill for office and commercial use. Today, it is occupied by a variety of stores and businesses, including Whole Foods. “Mount Washington Mill,” Explore Baltimore Heritage, accessed April 23, 2019, https://explore.baltimoreheritage.org/items/show/417.